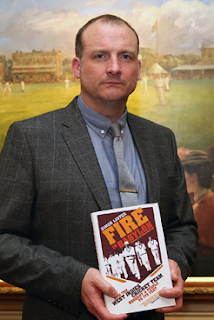 Cricket writer and BBC TV news producer Simon Lister has won the prestigious Cricket Society and MCC Book of the Year award for 2016 with Fire in Babylon: How the West Indies Cricket Team Brought a People to its Feet. In what chair of judges Vic Marks hailed as an exceptional year for cricket writing and research, Lister beat off a strong field that included two books about WG Grace and one providing a definitive story of cricket’s County Championship. Lister received certificates and a £3000 award in front of a large audience in the Long Room at Lord's, which was packed with MCC and Cricket Society members and officers, authors and their publishers and guest cricketing journalists and writers. Fire in Babylon is published by Yellow Jersey. A delighted Lister paid personal tribute to another of this year’s shortlisted authors, whom he felt deserved some credit for his win. Supercat, the authorised biography of former West Indies captain Clive Lloyd, was shortlisted for the Cricket Society and MCC Book of the Year in 2008. Lister does a fine job of describing and understanding the dominance of the West Indies cricket team in the 1970s and 1980s and the effect it had on the people of the region, and on the immigrant Caribbean population in London, for whom the team gave them an identity. Fire in Babylon made the shortlist for the 2015 William Hill Sports Book of the Year, won by David Goldblatt with a football title, The Game of Our Lives. 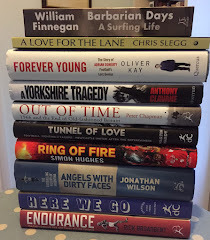 The competition, run by the Cricket Society since 1970 and in partnership with MCC since 2009, is for books nominated by members of the two organisations rather than publishers and is therefore highly regarded by writers and publishers. The final six titles on the shortlist were whittled down from 17 nominations by a panel of judges that comprised David Kynaston and Stephen Fay from the MCC and John Symons and Chris Lowe from the Cricket Society in addition to Marks, the former Somerset and England player who now writes for the Guardian and Observer newspapers and is part of the BBC's Test Match Special team. The Cricket Society – www.cricketsociety.com and Twitter @CricketSociety – encourages a love of cricket through playing, watching, reading and listening. 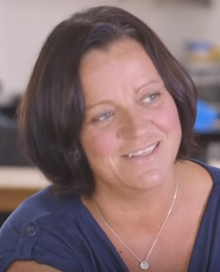 It supports young cricketers, makes annual awards, holds regular meetings, publishes an acclaimed journal and has a cricket team. MCC is the custodian of the Laws and Spirit of Cricket, stands as an innovative independent voice in world cricket, and is a passionate promoter of the game. It is also the world’s most active cricket-playing club and the owner of Lord’s.